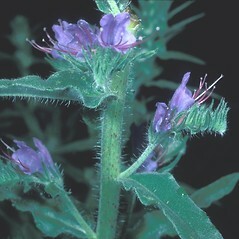 Common viper's-bugloss is a Eurasian species that was introduced to North America and to much of the rest of the world. 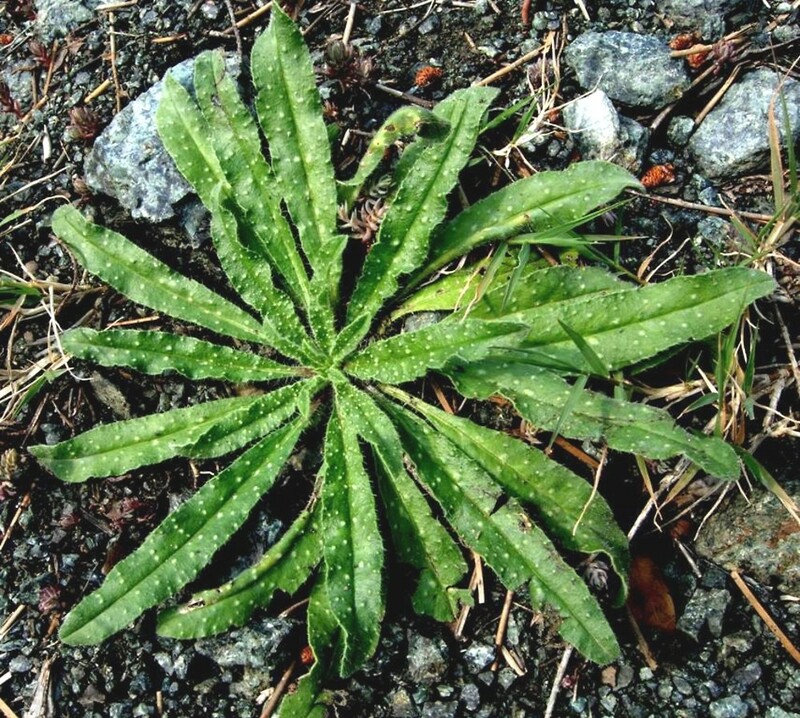 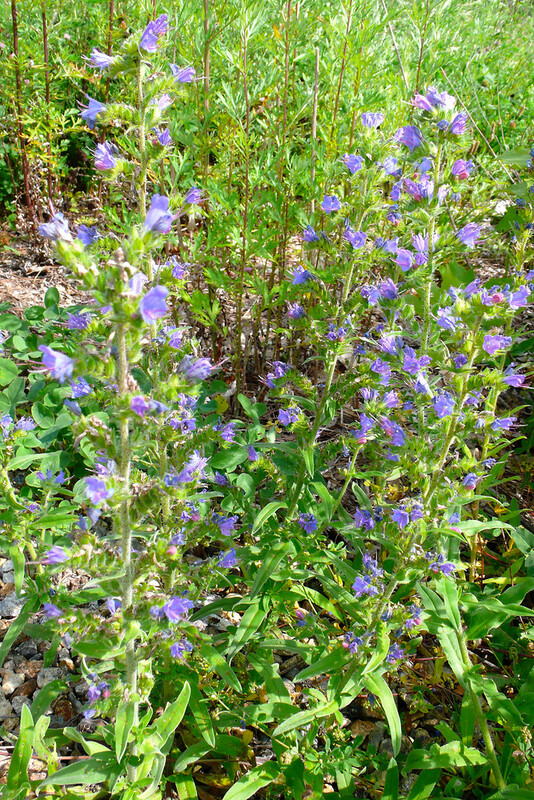 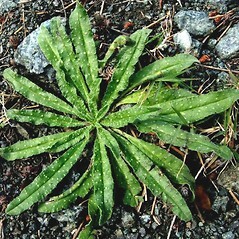 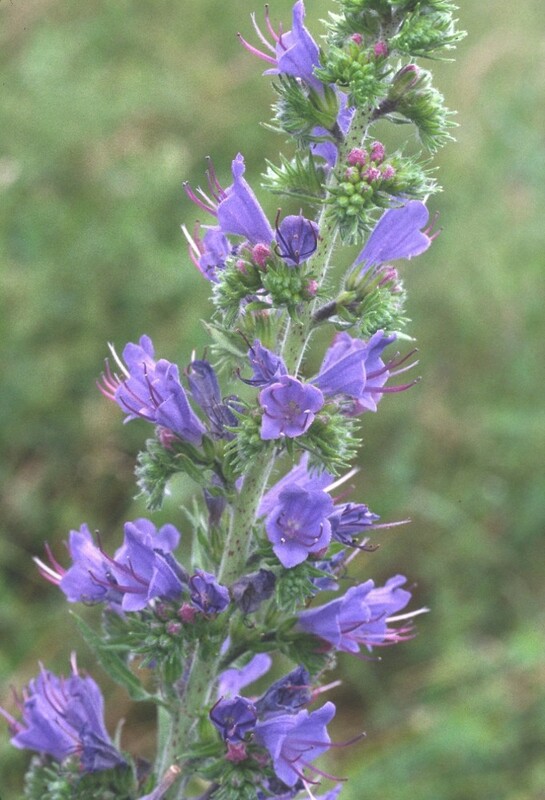 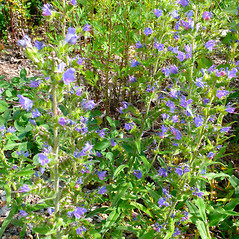 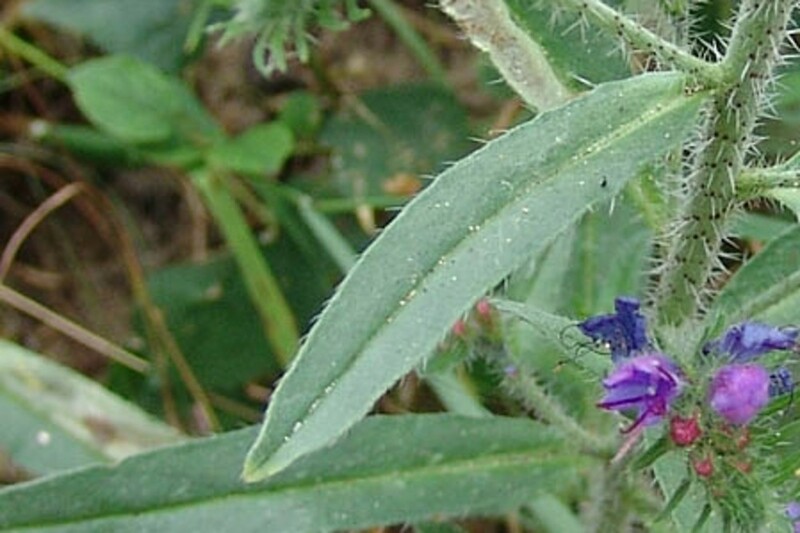 It is considered a noxious weed in some areas. 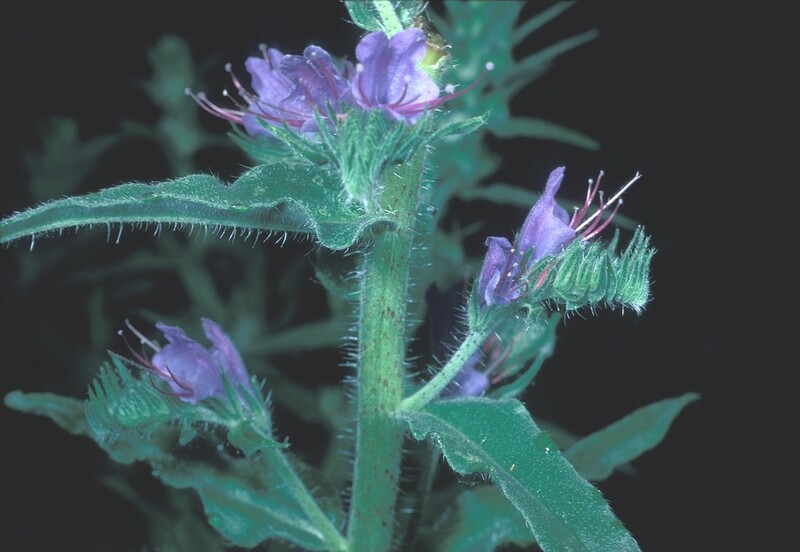 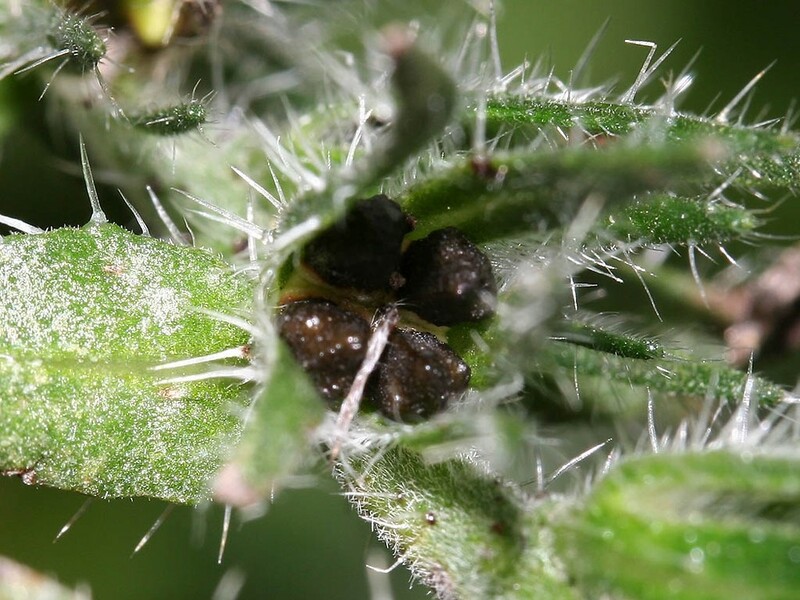 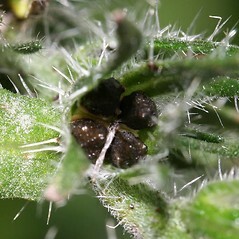 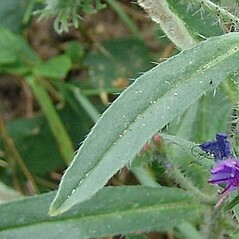 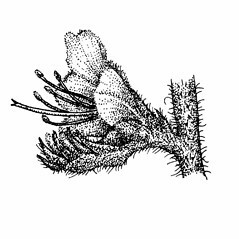 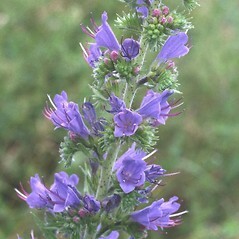 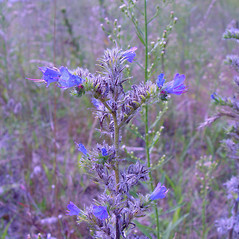 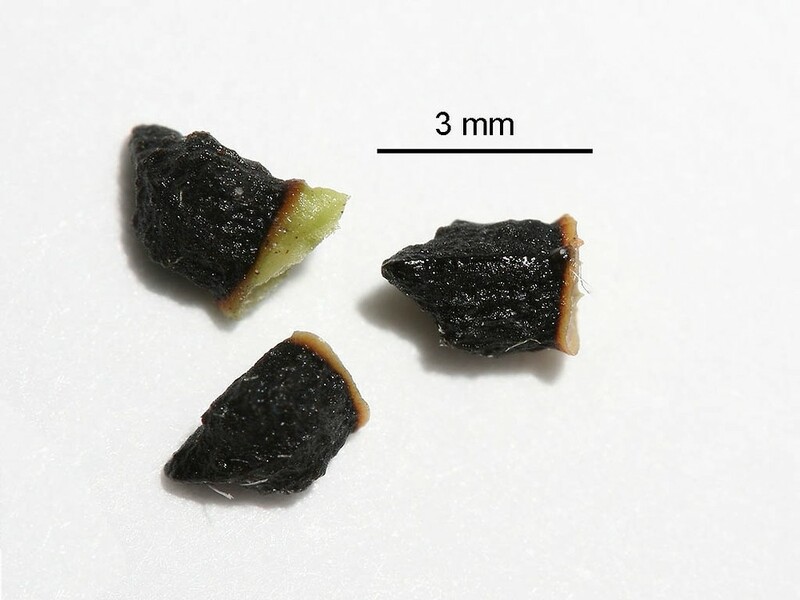 It has attractive flowers, but the stems are covered with sharp spines that become lodged in the skin like cactus spines. 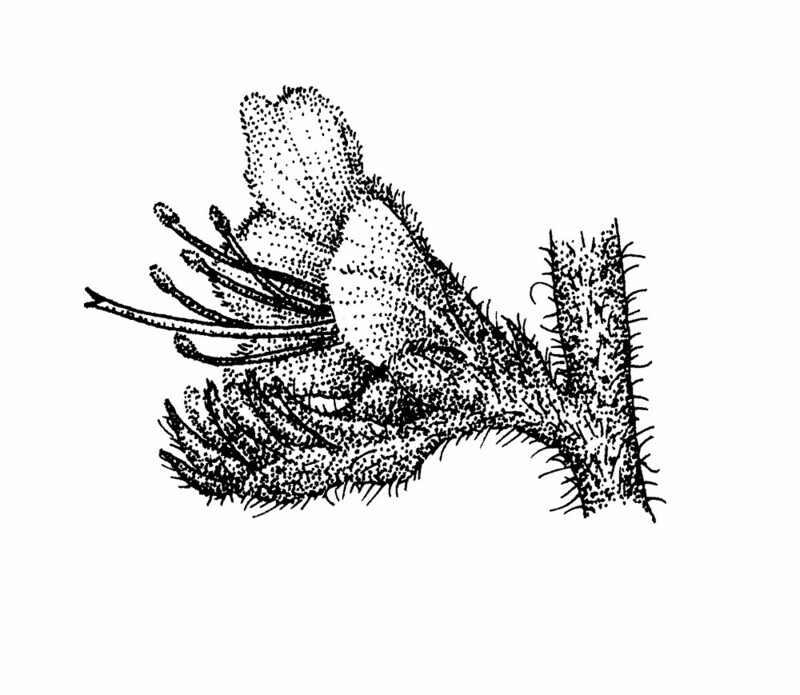 lower branches of the inflorescence 12–22 cm long, not bearing flowers in the basal portion (vs. E. vulgare, with lower branches of the inflorescence 2.5–6 cm long, bearing flowers from base to apex). 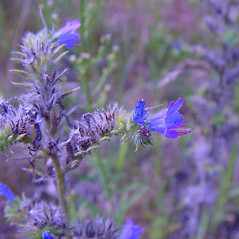 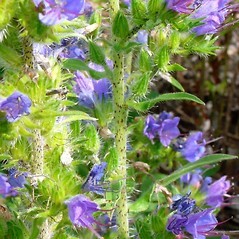 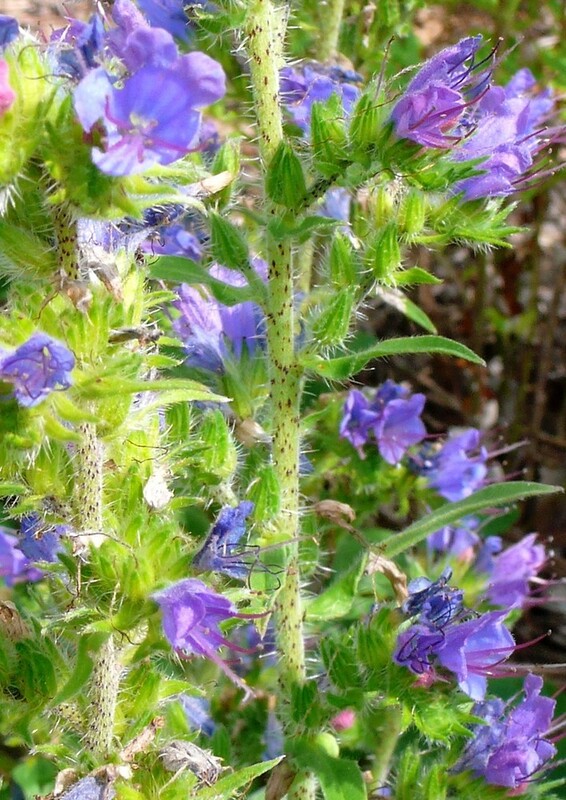 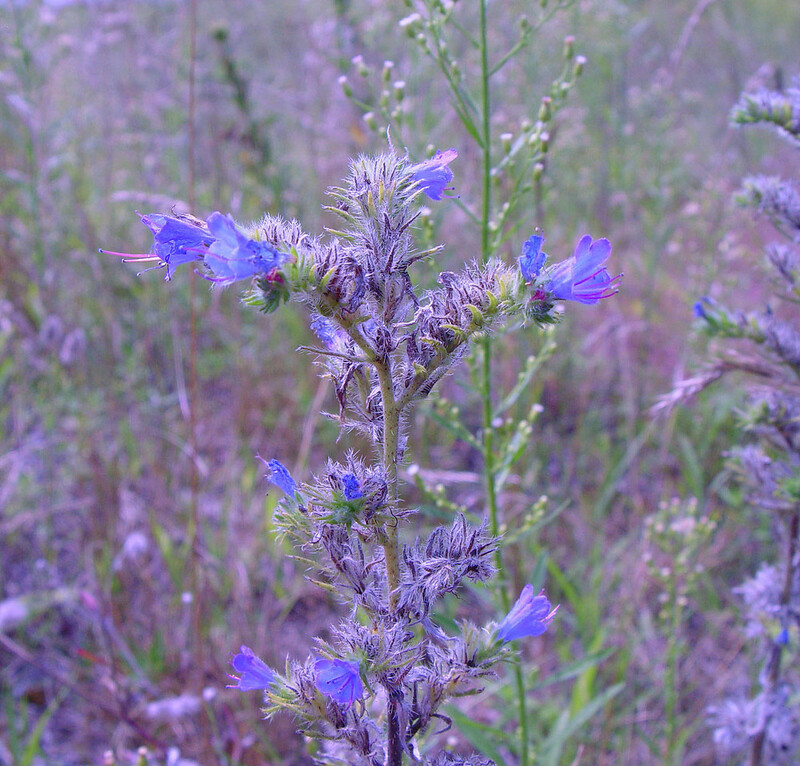 common viper’s-bugloss. 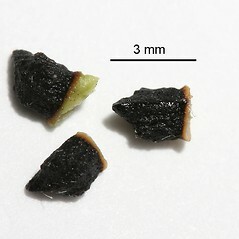 CT, MA, ME, NH, RI, VT. Fields, roadsides, disturbed soil, railroads, wool waste.